In lieu of an article this week, I’m instead highlighting a fabulous fundraising effort called JUGGLING FOR JUDE. This summer, my 9-year-old daughter, Hollis, an avid soccer player, will be using her soccer juggling skills to raise money for St. Jude Children’s Hospital. For as far back as I can remember, I’ve always been touched by the St. Jude “commercials,” chronicling stories of children with cancer and how they and their families found solace and top-notch medical care at St. Jude. I would make sure that my parents donated to St. Jude every year; somehow through their donation, I felt I was doing a little something to help those incredibly brave kids I saw on the television. Now a mom of two girls, I can’t fathom the challenges faced by parents whose kids end up at St. Jude. Helping my daughter take on this fundraising effort is, once again, my small way of doing what I can. 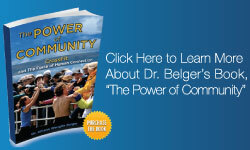 Encouraging our children to make use of their skills, talents, and other resources for the benefit of those less fortunate is a great parenting act. It’s not always easy in our very busy and full lives, but the smallest efforts can sometimes make the biggest differences! 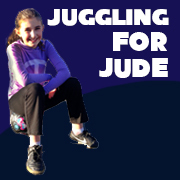 I hope you’ll join Hollis this summer via her JUGGLING FOR JUDE fundraiser. Please spread the word on Facebook and by sharing the link to her blog, where she explains what she’s up to and where her St. Jude personal fundraising page can be accessed.